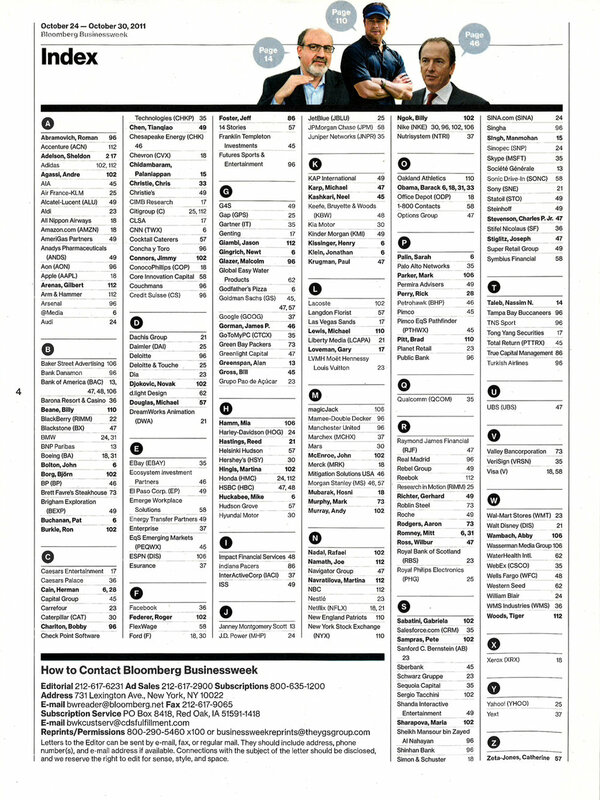 A lot of mainstream publications are skewing toward a very straightforward Table of Contents (ToC). They go like this: Here’s a picture, and here’s a story. Boringgg. At iostudio, we don’t just give these pages as much effort as our in-book pages—we give them more, for a couple reasons. First, the ToC will live on, issue after issue. Second, ToCs do some obvious things that are very important, like setting tone and giving readers a roadmap for what they should read. More important, with a ToC you’re telling readers why they should care about you, and what they should think about your magazine. Do you want your readers to think your magazine is artsy? Clever? Nerdy? Funny? Be that thing in the ToC. Steve Martin has said that a comedian who says hello to an audience has already lost, because they’ve wasted the very most important moment of their act—the first impression. Sure, lots of magazine readers will skip the front and flip through your book looking for pretty pictures. But for a big chunk, the ToC will be your precious first chance to leave a great first impression. Takeaway: You can’t sacrifice function for fantasy. The image column alone would be beautiful but impossible to use. The text column alone would be boring. Together, the ToC is usable and beautiful. Takeaway: Explore out-of-the-box designs, but always keep in mind that your first goal should be to give your readers what they need. That includes a roadmap to content they’re interested in. Takeaway: Your ToC doesn’t have to be literal. With the doodles, Esquire introduced interest-driving whimsy, but balanced that with functional steering clues. Takeaway: PopSci is a perfect example of how a ToC can transcend its stated purpose of describing contents—instead serving as a beautiful thing unto itself. These companies are all trying things. They’re taking chances, building beautiful things out of otherwise throwaway pages. While the Washingtonian is going classic but artsy, PopSci is using high concepts to speak to its audience. 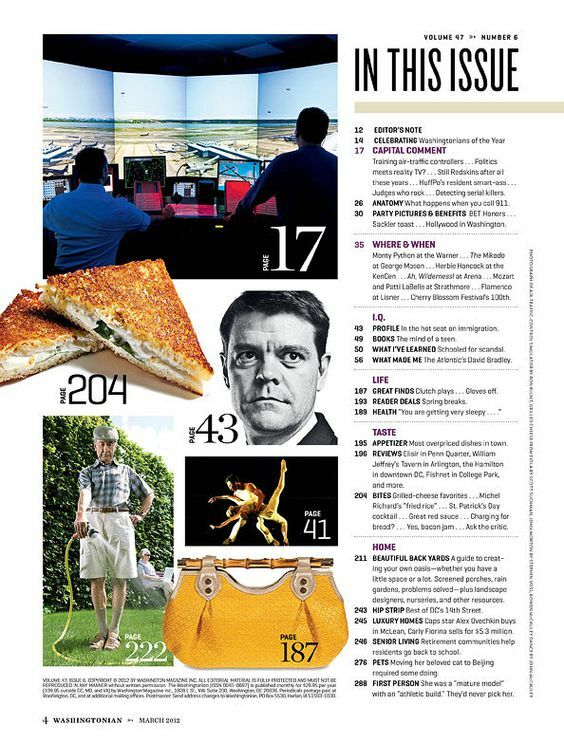 Esquire’s illustrations are the great tease, and Bloomberg’s index is all business. All approaches direct you to content in the magazine. All add value to the magazine—not just because they’re great ToCs, but because they’re very simply great pages. In the end, that might be the best advice of all—build great pages. We love building beautiful, functional things, in print and digital.